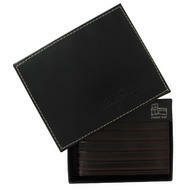 This is a handsome black genuine leather credit card holder from WCM's diMENsions line. 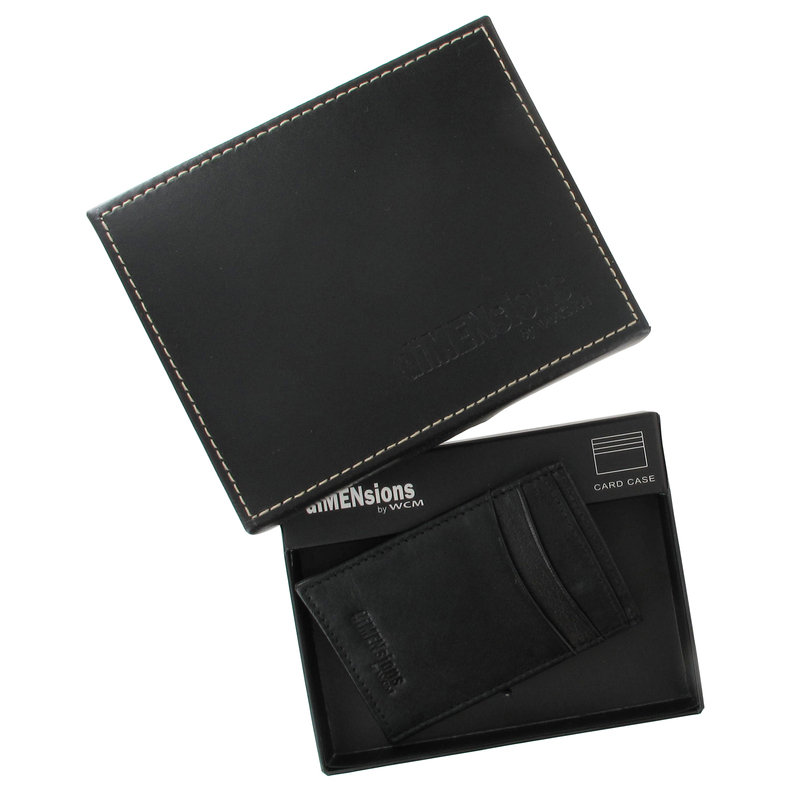 Handcrafted and boxed in a black leather presentation box, this credit card holder can be used for business cards, credit cards, receipts and more. Total of 5 pockets.